They are cheaper to build, costing around Rs 10 lakh each as against Rs 20-25 lakh for a traditional ground-based tower and even less than the Rs 12-15 lakh needed for a tower mounted on a roof top. Look closer and that large tulip on the side of the road as you drive into Chandigarh or the majestic palm tree providing a nice touch beside a villa in Hyderabad is, in fact, a mobile tower, a monopole tower to be precise. 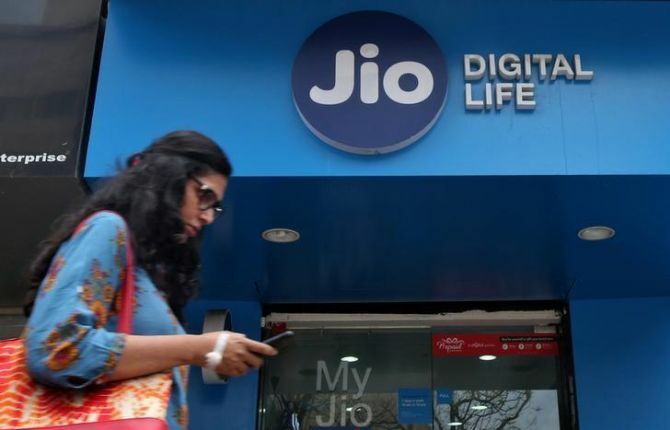 Increasingly, Reliance Jio is camouflaging its mobile towers as it goes about powering its 4G services across the country. Among the pioneers in this field, it is experimenting with camouflaging ugly towers to stop inflicting eyesores on a landscape or skyline. These are not real plants or trees but experiments by Jio and tower infrastructure players like Indus Towers, ATC and Bharti Infratel to bring an aesthetic consideration into tower building. But there is more to the monopole towers than just good looks. They do not need to be backed up by generators because they require only 750 watts of power which is provided by a a battery pack, unlike traditional mobile towers which require 2.5 KW. They are more energy efficient and non-polluting. Nor do they need a shelter to house electronic equipment or an air conditioner; all the equipment is tucked into the hollow of the mast shaft. In terms of space, a 30 metre high tower requires only about two metres of space above the ground compared to the legacy towers which take 50 times more space (a substantial saving on the licence fee for the space). Since they are made of prefabricated material, the monopole towers can be installed in about five to six hours instead of the days it took for the legacy towers and commuters are no longer disturbed – at least not for long - during the installation. But what makes the new towers even more distinctive is their versatility. They can be used for housing many non-telecom services such as street lighting, cameras for traffic control, and gadgets for monitoring air quality. Finally, they are cheaper to build, costing around Rs 10 lakh each as against Rs 20-25 lakh for a traditional ground-based tower and even less than the Rs 12-15 lakh needed for a tower mounted on a roof top. No doubt they have a lower range – between 300-500 metres depending on the spectrum - which is why they make do with less power. The older and larger towers have a range of five kilometers. The new monopole towers also ideally require fibre backhaul so that they can handle the dollops of data being generated on 4G platforms (and later by 5G). New wireless options like the E and V bands are being considered for backhaul though the government has not taken a stand on whether to auction it or give it with a nominal fee. To the uninitiated, lower frequencies of spectrum provide better coverage and the legacy mobile towers were designed for them. They are not, however, suited to provide capacity and speed. This suited telcos perfectly when their main strategy was to grab more subscribers to use voice by expanding their network coverage. But with the data revolution powered by 4G and now with the upcoming 5G, the game has changed. Enabling 5G (100 times faster than 4G) will require huge amounts of spectrum for a telco which is available only in the higher bands between 3.2 GHZ to 3.8 GHZ. While these frequencies do not give coverage, they provide the capacity to handle huge amounts of data at high speeds which is the key for the data revolution. So the smaller towers do precisely that, namely, handle more data within a smaller range while catering to a fewer number of subscribers. To reach the same number of subscribers, more of these new towers are needed to do the job of one single traditional tower. “Currently not more than five per cent of the towers are of the smaller variety. "In the next two to three years, we estimate this will become 30-40 per cent. "What we will see is a hub and spoke with big towers providing coverage augmented by smaller towers which provide capacity,” said Rajan S Mathews, director general, Cellular Operators Association of India. Tower companies estimate that, even with 4G, anything between 250,000 to 500,000 additional towers (there are currently 571,000) will be required for covering the country and the bulk of them will be smaller range towers. Will this change the business model for tower companies? And what happens if, like Jio, other telcos who currently rent out towers built by independent tower companies such as Indus Towers and others, also decide to have their own monopole towers? A top executive of a leading tower company in India pointed out: “The smaller towers can easily handle at least two tenants and today you only have three players, one of which has his own. Are we staring at a new NPA crisis?